Boaz went up to the gate and sat down there (Ruth 4:1). 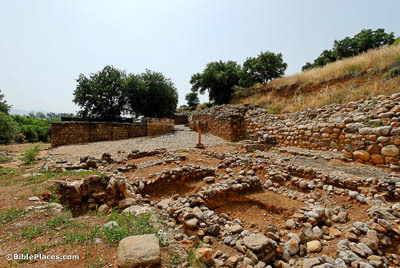 The gate of ancient Bethlehem hasn’t been uncovered, but there are other examples of Israelite city gates that have been preserved, such as this one discovered at Dan. A marketplace (which can be seen in the foreground) was found just outside the gate, revealing how central the city gate was in urban life. Given that Bethlehem was a smaller village, its gate would have been simpler than this later, more extravagant structure. The near kinsman of whom Boaz spoke of came by. So Boaz said, “Turn aside, sit down here!” (Ruth 4:1). 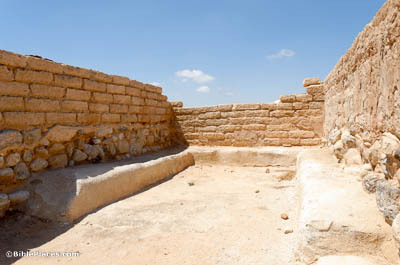 Another example of an ancient gate has been found at Beersheba. As with the one at Dan, this gate is likely much more elaborate than the one at Bethlehem. However, this chamber from its inner gate helps us visualize how Boaz and the elders of Bethlehem could sit “in the city gate.” The chambers of the city gate were a popular place to discuss business. Buy it in the presence of those sitting here and in the presence of the elders of my people (Ruth 4:3). Coins weren’t invented until around 600 BC, well after the days of Ruth and Boaz. 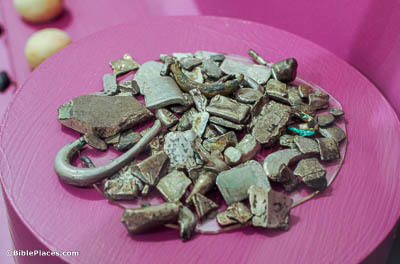 Before that innovation, precious metals were exchanged unmodified, measured by weight. The disparate fragments used for this purpose are called “hacksilver,” and Boaz likely used this same sort of currency to redeem Elimelech’s land. 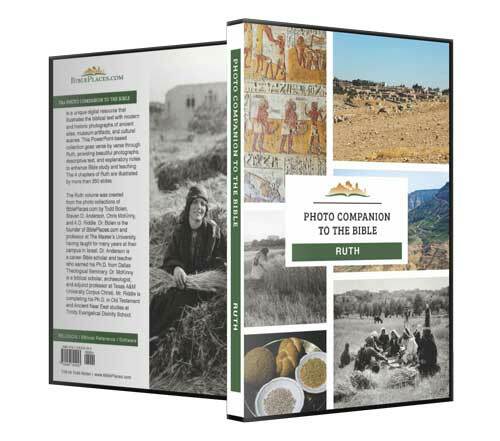 May you act worthily in Ephrathah and be famous in Bethlehem (Ruth 4:11). Ephrathah is another name for Bethlehem, as seen in the parallelism of this verse. And while the latter name won out in popular use over the millennia, the name Ephrathah is still remembered by an Israeli settlement slightly to the south of modern Bethlehem, called Efrat. 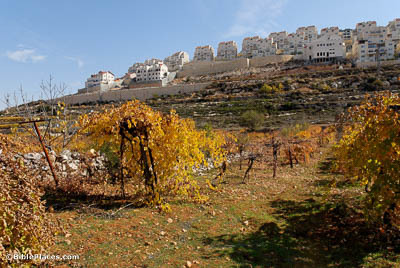 This town now serves as the capital of Gush Etzion, a group of Israeli settlements in the Judean Hills. He is the father of Jesse, the father of David (Ruth 4:17). Until 1993, a contemporary extra-biblical mention of David had never been discovered, causing some scholars to doubt his existence. All of that changed, however, when this inscription was discovered in the gate of Dan. 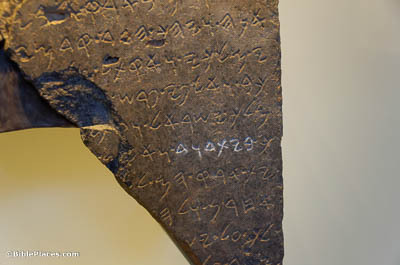 Written by the Aramean king Hazael, it mentions the “house of David,” providing firm archaeological evidence for the historicity of Israel’s most famous king.